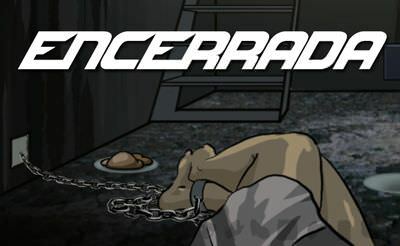 Encerrada is an horror escape game. It contains bloody scenes. We find ourselves in chains locked into the basement. At the moment we are not knowing what has happened but it looks very dark. An corpse in the tub, puzzles to solve, only to escape the house. But is it really what we should do? Find out in this horror themed game. The inventory is at the bottom, click on the objects using the "mouse" and than onto the scene to interact with them.